Do your students blurt out at random moments during your demonstrations? Do you have trouble getting kids to listen or take you seriously? Do you have children that always seem to be pushing your buttons? Does your clean-up routine border on chaotic? I know that I’ve struggled with behavioral issues, stressful transitions and more than a few wild classes and I learned that unless I got those things under control, I wasn’t able to be an effective teacher. Although it may seem like achieving a happy balance between creating a consistent management philosophy and allowing freedom and creativity in your art room is next to impossible, I’m here to tell that it is completely doable. 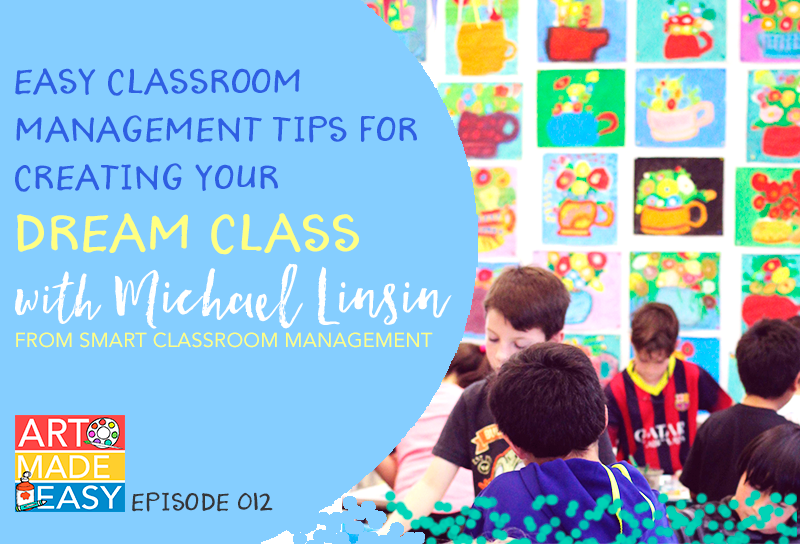 Michael Linsin is the author of Classroom Management for Art, Music, and PE Teachers and the author of the blog, Smart Classroom Management has the magic touch. He seems to know intuitively how to transform chaos into calm. Podcasting is not as easy as it may appear. There are lot of steps to setting up interviews, recording and ultimately producing each episode that inevitable something always goes wrong. In this case, I had a problem with the sound quality on my end of the recording. My podcast editor had to do some fancy tweaking to make this interview easy on your ears. So if you notice any weird transitions, you know why. As a home educator and children’s church teacher, I have found this podcast to be so informative and helpful. I’m definitely going to check out Mr. Linsin’s book. Thank you so much for all of the great information. This was such a helpful podcast, I teach to large groups of preschool students so I’ll definitely be checking out the book. I’ve had so many conversations with teachers who say the foundation of thier success in class is based in solid classroom management! Thanks so much for this!! So happy it helped. Michael has such great advice. Thanks for listening! I love this guy! He has helped my teaching so much! I found your podcast due to him and even though I teach a different subject than art, I love it! Wow!!! This episode has answered so many questions and helped calm so many fears! I’m in transition to switching careers and I know very very little on how to manage kids and this is such a great resource. I will be getting his book! Ty!! What recommendations do you have when teaching art from a cart? I believe it is a little different since I don’t teach in my own classroom. 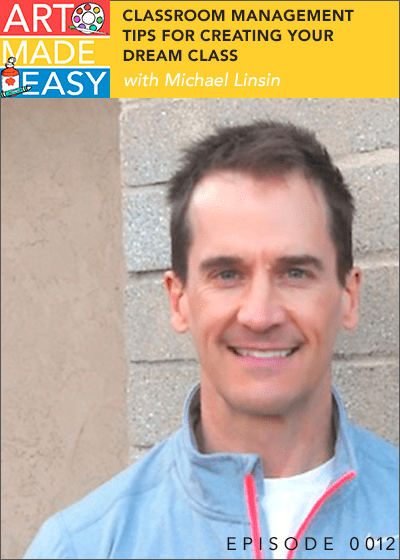 Have you listened to this episode of Art Made Easy?